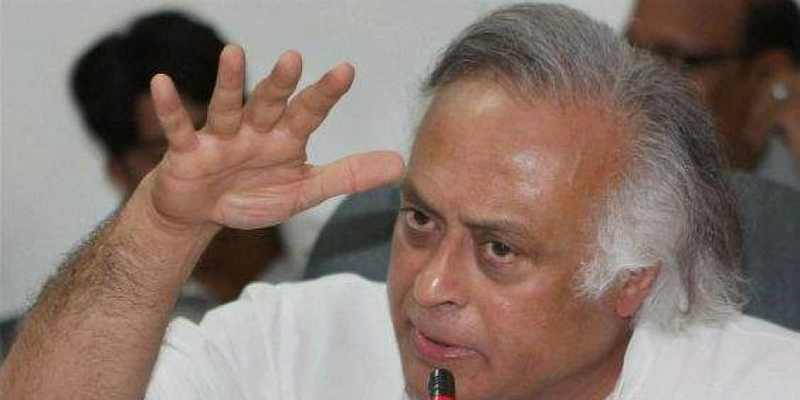 Senior Congress leader Jairam Ramesh said beneficiaries can avail treatment costing only up to Rs 50,000 under this scheme on the premium of Rs 1,100 paid by the government. NEW DELHI: The Congress launched a scathing attack on Prime Minister Narendra Modi on Saturday, alleging that his government's flagship health insurance scheme Ayushman Bharat is not for common man but actually a "lifesaver" for private insurance companies and hospitals. It is "not Rs 5 lakh promised by Modi, he has exaggerated it 10 times," the Congress leader alleged. "The claim that 'Modicare' has provided each household insurance cover of Rs 5 lakh is a huge fraud," he claimed. He further said that 11 crore people across the country are already covered under respective health insurance schemes of various states and the Centre's Rashtriya Swasthya Bima Yojana (RSBY). Another party leader said there are several other "successful" initiatives. Ten crore people to be benefited under Ayushman Bharat are not over and above the 11 crore beneficiaries who are already availing benefits, he said, adding "Modi is trying to take credit for various health schemes through Ayushman Bharat." Emphasising that the Ayushman Bharat Yojana or Pradhan Mantri Jan Arogya Yojana (PMJAY), which is also described as "Modicare", is conceptually wrong, the Congress leader said, "It doesn't cover diabetes and high blood pressure, the two common ailments in India." "Patients will not have access to adequate healthcare under PMJAY because it excludes outpatient treatment, which 87 per cent of ailing persons undergo. Outpatient treatment is a serious financial burden that accounted for 63 per cent of the Rs 4,955 spent by households out of their pockets on health in 2014," he said. The country does not need health insurance which benefits private players but health assurance which helps the common man, which is possible through Right to Health as promised by Congress chief Rahul Gandhi.